When a transmission line supplies a load current, there is a voltage drop in the line due to resistance and inductance (inductive reactance) of line. Therefore, receiving end voltage VR is generally less than the sending end voltage VS. This voltage drop in the line is expressed as a percentage of receiving end voltage VR and is called voltage regulation. The rise in voltage at receiving end voltage when the full load is thrown off; the sending end voltage remaining the same, is called voltage regulation of transmission line. % Reg. = [(IRcos φR+ IXLsin φR)/VR] 100 ………. for lagging p.f. % Reg. = [(IRcos φR – IXLsin φR)/VR] 100 ………. for leading p.f. It is desirable that the voltage regulation of transmission line should be low. In the case of inductive loads, for a fixed value of VR and I, the voltage regulation of the line increases with the decrease in p.f. In the case of capacitive loads, for a fixed value of VR and I, the voltage regulation of the line decreases with the decrease in p.f. When the load p.f. is lagging or unity or such a leading that IRcos φR > IXLsin φR, then voltage regulation is positive i.e. the sending end voltage VS is more than the receiving end voltage VR. When the load p.f. is such a leading that IRcos φR < IXLsin φR, then voltage regulation is negative i.e. the sending end voltage VS is less than the receiving end voltage VR. When the load is supplied there are line losses due to the resistance of the line conductors. Therefore, the power received at receiving end is always less than the sending end voltage. VR = Receiving end voltage (phase value). cos φR = Receiving end power factor. R = Transmission line resistance per phase. The efficiency of a transmission line depend to a considerable extent upon the load power factor. P = 3VR Icos φR ………….three phase. Or I = P ÷ 3VRcos φR. Thus, for a constant amount of power and voltage at the receiving end, the line current is proportional to the load power factor. Consequently, with the decrease in load power factor, line current and hence line losses are increased. Thus, the efficiency of the transmission line decreases with the decrease in load power factor. When the length of an overhead transmission line is below 60 km and the line voltage is low (below 20 kV), it is usually considered as a short transmission line. Due to the smaller length and lower voltage of the line, the capacitance effects of the line are extremely small and hence can be neglected. Therefore, while studying the short transmission line performance, only resistance and inductance of the line are taken into account. When the length of an overhead transmission line is about 60 to 150 km and the line voltage is high (20 to 100 kV), it is usually considered as a medium transmission line. Due to sufficient length and voltage of line, the capacitance effects are also taken into account while studying the medium transmission line performance. Though capacitance is uniformly distributed over the entire length of the line yet reasonable accuracy is obtained by considering the capacitance of such a line lumped at one or more places. When the length of an overhead transmission line is more than 150 km and the line voltage is very high (more than 100 kV), it is usually considered as long transmission line. To study the performance of such a line, the line constants are considered uniformly distributed over the whole length of the line and rigorous methods are employed for the solution. #2 Surge absorbers protect against……….oscillations. #3 Skin effect is noticeable only at ………… frequencies. inductive interference between power and communication circuits can be controlled. the floating potential on the lower voltage winding for a transformer is brought down to an insignificant value . the arcing faults to earth would not set up dangerously high voltage on healthy phases. #7 Which of the following can be used for bus-bars? #8 If the height of transmission tower is increased, which of the following parameters is likely to change ? #10 Impedance relay is used on …… transmission lines. exposure to atmospheric hazards like smoke, ice, etc. current is uniformly distributed in the conductor cross-section. current is in true sine wave form. #17 To increase the capacity of a transmission line for transmitting power which of the following must be decreased ? #18 By using bundled conductors which of the following is reduced ? #19 Which of the following short-circuits is more dangerous ? both the length and stress decrease. 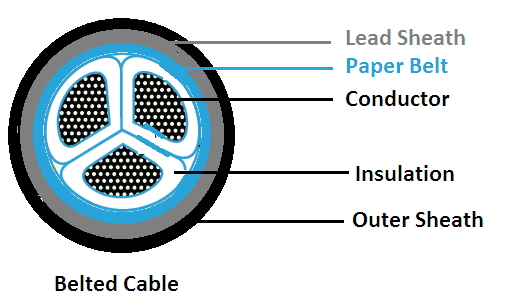 © https://yourelectricalguide.com/ Voltage Regulation in Transmission Line.